More info at the end of the following article. South African farmers suffered millions of dollars in lost income when 82,000 hectares of genetically-manipulated corn (maize) failed to produce hardly any seeds. The plants look lush and healthy from the outside. 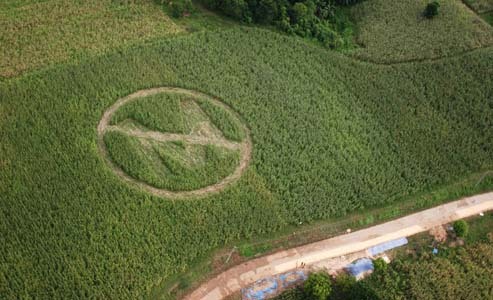 Monsanto has offered compensation. Monsanto blames the failure of the three varieties of corn planted on these farms, in three South African provinces,on alleged ‘underfertilisation processes in the laboratory”. Some 280 of the 1,000 farmers who planted the three varieties of Monsanto corn this year, have reported extensive seedless corn problems. Urgent investigation demanded However environmental activitist Marian Mayet, director of the Africa-centre for biosecurity in Johannesburg, demands an urgent government investigation and an immediate ban on all GM-foods, blaming the crop failure on Monsanto’s genetically-manipulated technology. Willem Pelser, journalist of the Afrikaans Sunday paper Rapport, writes from Nelspruit that Monsanto has immediately offered the farmers compensation in three provinces – North West, Free State and Mpumalanga. The damage-estimates are being undertaken right now by the local farmers’ cooperative, Grain-SA. Monsanto claims that ‘less than 25%’ of three different corn varieties were ‘insufficiently fertilised in the laboratory’. 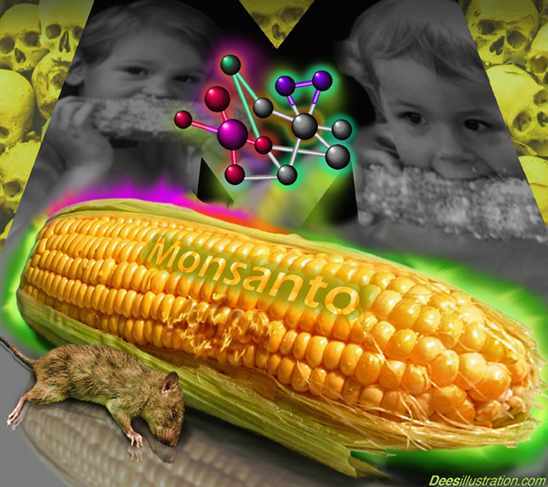 “We have been warning against GM-technology for years, we have been warning Monsanto that there will be problems,’ said Mayet. She calls for an urgent government investigation and an immediate ban on all GM-foods in South Africa. Of the 1,000 South African farmers who planted Monsanto’s GM-maize this year, 280 suffered extensive crop failure, writes Rapport. Monsanto’s local spokeswoman Magda du Toit said the ‘company is engaged in establishing the exact extent of the damage on the farms’. She did not want to speculate on the extent of the financial losses suffered right now. He denied that the problem was caused in any way by ‘bio-technology’. Instead, there had been ‘insufficient fertilisation during the seed-production process’. He also they were ‘satisfied with Monsanto’s handling of the case,’ and said Grain-SA was ‘closely involved in the claims-adjustment methodology’ between the farmers and Monsanto.Farmers told Rapport that Monsanto was ‘bending over backwards to try and accommodate them in solving the problem.”It’s a very good gesture to immediately offer to compensate the farmers for losses they suffered,’ said Kobus van Coller, one of the Free State farmers who discovered that his maize cobs were practically seedless this week.”One can’t see from the outside whether a plant is unseeded. One must open up the cob leaves to establish the problem,’ he said. The seedless cobs show no sign of disease or any kind of fungus. They just have very few seeds, often none at all. The South African supermarket-chain Woolworths already banned GM-foods from its shelves in 2000. However South African farmers have been producing GM-corn for years: they were among the first countries other than the United States to start using the Monsanto products. The South African government does not require any labelling of GM-foods. Corn is the main staple food for South Africa’s 48-million people. The three maize varieties which failed to produce seeds were designed with a built-in resistance to weed-killers, and manipulated to increase yields per hectare.